In this We Will Provide the JNTUK 4-1 Semester 1st mid Examination Original Online Bits For R13 Regulation Students.So All The Students Of JNTUK Affiliated Colleges Who Are waiting for JNTUK 4-1 Semester 1st Mid Examination Original Online Bit Papers For R13 Regulation. Therefore each subject has been conducted for 100 Marks(70+30).In this the external examinations are conducted at the end of the semster and the internal exams are conducted two times in a semster .In this 30 marks only 10 marks for online bits and 15 marks for theory and remaining 5 marks for assignments.The online examination has 20 bits each bit carry 1/2 mark total 20 bits 10 marks. 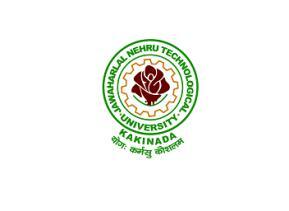 As we mentioned above that JNTU Kakinada Has Announced the JNTUK 4-1 Semester (R13) 1st Mid Examinations Time Tables August 2016 and these mid Examinations Are Going To Be Held From 08-08-2016 onwards. Students Those Who Are Looking For the JNTUK B.Tech 4-1 Semester (R13) 1st Mid 7th Examinatio Online Bits August 2016 For EEE ,Civil, Mechanical, ECE, CSE & IT Branches Can Download Original Online Bits From The Links we provided.